Have you ever dreamed of being a SCUBA DIVER? Of floating weightlessly underwater amid the beautiful coral reef and fish? Of swimming with dolphins or finding that treasure chest full of gold? Here’s your chance to learn all the basic skills necessary to live your dream. This is a fun and safe NAUI certification course that provides the fundamental knowledge and skills to scuba dive. Upon successful completion of this course, graduates are considered competent to engage in open water diving activities, provided the diving activities and sites dove, approximate those of training. We rent only the BEST brands to insure you have the best experience while diving in what you would buy, not rental quality low end gear. The Scuba Certification Course includes All Rentals, Certification Card and Books (No Hidden Costs). Note: If you wear prescription glasses please call to discuss options for underwater corrective lenses. Prerequisites: It is in the interest of safety and also good common sense, to be able to complete the following three basic swimming skills: an untimed 250 yard non-stop swim, a 50 foot underwater swim on one breath, and a 10 minute treading water exercise. Successful completion of these three basic skills will be required for you to continue with the Scuba Diver class. If you have doubts about performing these three basic skills please practice them before the first night of class. 1-858-397-8213 to schedule your private NAUI Scuba Certification Course. NAUI Private SCUBA Certification classes. Approximately 40 hours of instruction on a private, one-on-one basis. Class times will be arranged to fit your schedule. All classes at our facility. In home pool instruction is available ask for quote on cost. To schedule your private certification or get more information, please call 1-858-397-8213. This is a continuing education certification course for divers to expand their knowledge and experience in more diverse and challenging environments than what was experienced in the Basic Scuba class. It is an enjoyable program of continued supervised experience designed to introduce divers to a variety of diving activities and to be taught entirely in an open water setting. Types of dives include but are not limited to underwater navigation, night diving, deep diving, beach diving, and boat diving. Are you ready to take the next step in your dive training? In the NAUI Rescue Diver course you will learn how to manage risks and effectively handle limited in-water problems and diving emergencies, how to assist and transport divers, and how to perform surface rescues and rescues from depth involving both boat and shore based skin and scuba divers. The Rescue Diver course also helps you get ready for leadership-level courses. Prerequisites: You have to be at least 15 years old, certified to the Advanced Diver level or equivalent and have current First Aid/CPR certification. Call 1-858-397-8213 to schedule your guided SCUBA or Snorkel Adventure. Want more information? Call 1-858-397-8213 and we’ll be more than happy to answer your questions about this or any of our other tours and classes. NAUI Dive Master course will allow you to lead dives with certified divers, work on dive boats around the world and assist in the instruction of resort SCUBA certification classes. As a NAUI Divemaster you may find yourself leading dive tours in the Caribbean during the winter, and conducting recreational diving tours in California during the summer. Many divemasters are an integral part of the instruction process assisting with classroom lessons and pool training. The possibilities for employment are endless. Becoming a NAUI Divemaster allows you to oversee diving activities at dive resorts, dive boats, cruise ships, dive stores, clubs, colleges and universities around the world. With your exceptional leadership and diving skills you are able to bring safe and enjoyable diving experiences to the people under your care. Divemasters are also certified to fulfill the role of a course assistant during diver training. 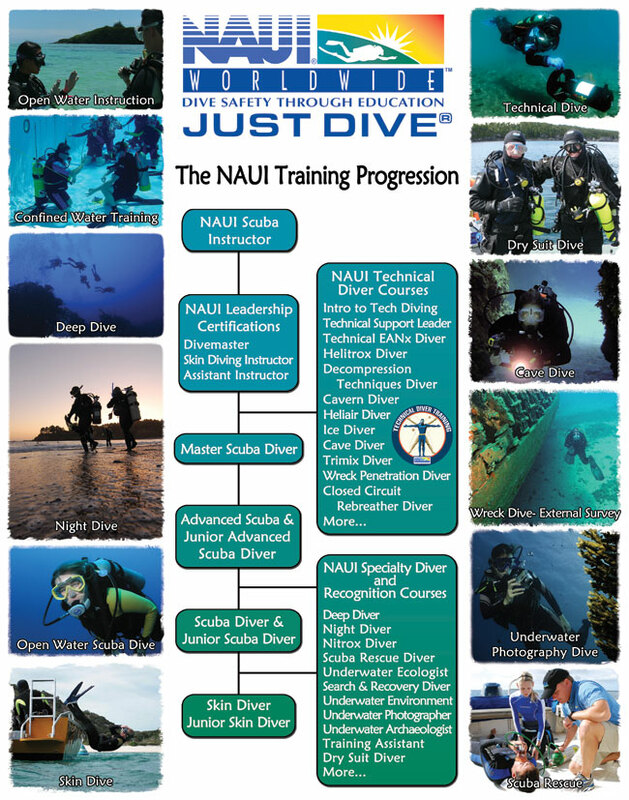 NAUI Divemasters bring a high degree of leadership skills and training to the diving community. Active NAUI Divemasters gain a wide range of experience in all aspects of diving, and this experience is recognized by NAUI. As a NAUI Divemaster you are qualified to enter into a NAUI Instructor Training Course. Candidates must be 18 years of age minimum. They must have at least 60 logged dives and the equivalent of a Master Scuba Diver certification. If they do not have a Master Scuba Diver certification, they must pass a NAUI Master Scuba Diver written test with a minimum score of 75%. Candidates must have a Scuba Rescue Diver certification, with current CPR and First Aid. For current enrollment requirements, prices and a schedule of Divemaster courses call 1-858-397-8213 and we’ll be more than happy to answer your questions about this or any of our other tours and classes. How long has it been since you were last in the water? Six months? A year? More than this? Unfortunately, diving is not one of those things that “just comes back to you, like riding a bike.” The NAUI Scuba Diver Refresher Course conducted by San Diego Scuba Guide is designed for any certified diver who has not been diving for 6 months or more and feels a need to brush up on their skills. The three hour session covers: basic diving principles, Scuba equipment set up, and a Scuba skills confined water dive at the beautiful Mission Point Park. 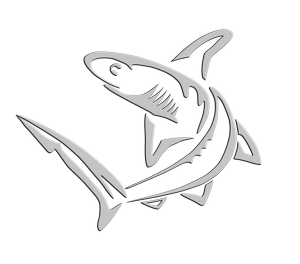 All Scuba equipment (buoyancy compensator, tank, weights, and regulator assembly) and personal gear (wetsuit, mask, snorkel, hood, boots and fins) is supplied. Please bring your log book with you so we can make an entry verifying completion of your Scuba Diver Refresher.